Last year, as our family was enjoying some vacation time, my sweet husband was thoughtful enough to download several of our favorite songs we had listened to during our dating years. Some of them I hadn’t heard in nearly two decades. As our family of six piled into the minivan one evening for a drive, Ben hopped into the driver’s seat and pushed play on the iPod. Within seconds I was swept up in nostalgia, transported to another time and place—a walk around campus with ice cream dripping down my arm; my husband’s first and last football games; the painful heartache of our breakup. Remembering can cause us to pause from our busy lives. A song takes us back in time. A picture of an old friend reminds us of laughter and heart-to-heart conversations. The smell of lasagna in the oven transports us to our grandmother’s home on Christmas Eve when we were eight. Memories can also help us see the weaving together of God’s beautiful and perfect plan in our lives. In the middle of a difficult trial, it can be hard to recognize what God is doing. But hindsight is often much closer to 20/20, and taking time to remember and reflect on how God has worked in us, even through our challenges, can strengthen our faith in a God who knows the beginning and the end. When things are going well, however, we often stop remembering and quickly forget about God. We overschedule our lives, squeezing Him out of our calendars. We get so good at running our own little world that we effectively leave Him behind, imagining that we can handle whatever comes along all by ourselves. This is a place of real danger. In the book of Deuteronomy, Moses is addressing the Israelites shortly before they enter Canaan under Joshua’s leadership. 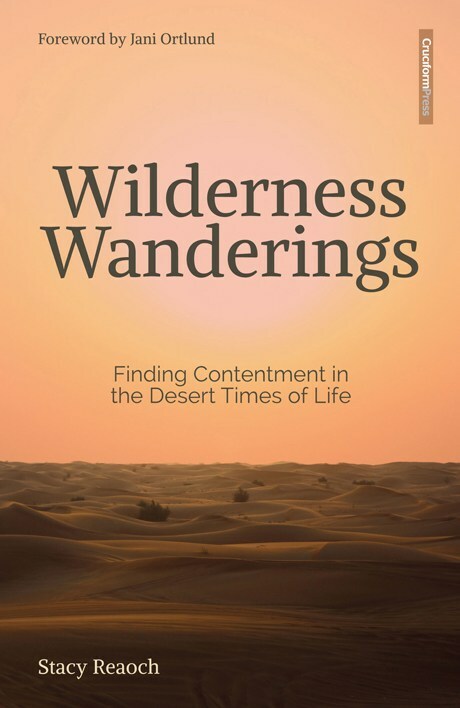 Forty years of wandering in the wilderness has led Israel to this moment, and now Moses is readying them to dwell in the Promised Land faithfully, in fulfillment of God’s promise. In chapter 8, he urges them to always remember who brought them there in the first place. “Take care lest you forget the LORD your God by not keeping his commandments and his rules and his statutes, which I command you today, lest, when you have eaten and are full and have built good houses and live in them, and when your herds and flocks multiply and your silver and gold is multiplied and all that you have is multiplied, then your heart be lifted up, and you forget the LORD your God, who brought you out of the land of Egypt, out of the house of slavery” (vv. 11–14). Full bellies, nice homes, and money in our pockets can be a real temptation to forget about the Lord, so Moses is solemnly reminding the Israelites of God’s miraculous deliverance in their lives. Any material blessings they might receive, from food to houses to livestock to money, is all a gift from the Lord. If the Israelites are not careful to keep God’s commandments, they are at risk of forgetting him, the very Giver of all their blessings. The temptation the Israelites are likely to face is that their hearts will be “lifted up,” attributing their prosperity to their own power and might (v. 17). Pride and self-sufficiency puts us on a downward spiral that can lead to all manner of sin and idolatry, with dire, serious consequences. “And if you forget the LORD your God and go after other gods and serve them and worship them, I solemnly warn you today that you shall surely perish” (v. 19). God wants to be remembered—for who He is, what He has done, and what He has promised to us—in both the good times and the bad. During the difficult seasons of our lives, it does our soul good to remember God’s faithfulness. There are times of fear, anxiety, and doubt when we’re tempted to forget about the Lord and address our problems on our own (which for me often means lying awake in the night, playing out scenarios). Letting our thoughts and feelings run wild leads only to further doubts and despair. But intentionally remembering God’s faithfulness to us and to His promises can yield sweet peace and rest. During Moses’ pep talk to the Israelites before they entered the Promised Land, he reminds them to destroy all the other nations in the land, lest they be led astray in serving other gods (Deut. 7:1–4). He seems to anticipate the fear that could likely creep into the Israelites’ hearts as they begin to conquer their new land. And Moses addresses that fear, combating it with the sword of remembering the faithfulness of God. “If you say in your heart, ‘These nations are greater than I. How can I dispossess them?’ you shall not be afraid of them but you shall remember what the LORD your God did to Pharaoh and to all Egypt, the great trials that your eyes saw, the signs, the wonders, the mighty hand, and the outstretched arm, by which the LORD your God brought you out. So will the LORD your God do to all the peoples of whom you are afraid” (Deut. 7:17–19). Remembering ways God has helped and delivered you in the past will give you grace to trust Him with tomorrow. Here are a few simple ways to help you in the discipline of remembering. The simple act of regularly writing things down—fears, decisions you’re processing through, hopes for the future, remembrances of how God has led you—is a great memory-keeper of God’s faithfulness. I love to go back through my journal and see how God has intervened and answered prayer. In our overly scheduled world it takes intentional times of rest to truly be able to think, pray, and reflect on how God has worked in your life. Don’t be afraid to schedule some periods of rest into your week. God has given each of us a sphere of influence, people in our lives who love us and care about us. Share stories of God’s faithfulness with your family, friends, and coworkers. Encourage their faith by sharing your own story. Ask the Holy Spirit to open your eyes to prayers that have been answered and other ways God has been faithful in your life. What better way to see God’s faithfulness than through the promises embedded in Scripture? Increase your faith by increasing your time spent in studying the Bible, asking God to help you see His faithfulness throughout time and eternity. Taking time to reflect on the faithfulness of the Lord—in our childhoods, our marriages, our jobs, our hopes, and our dreams—can be a mighty way God strengthens and emboldens our faith. As we remember how God led, provided, and protected in the past, we can trust He will be faithful for tomorrow. God, You have been faithful in the past and will be faithful in the future. In both the ups and downs of life, give us grace to remember the mighty ways You’ve worked in our lives. Keep us from forgetting the abundant mercy You’ve bestowed on us, and increase our faith. How can you increase your faith and trust in God through remembering? What is one practical way you’ll begin the discipline of remembering today?